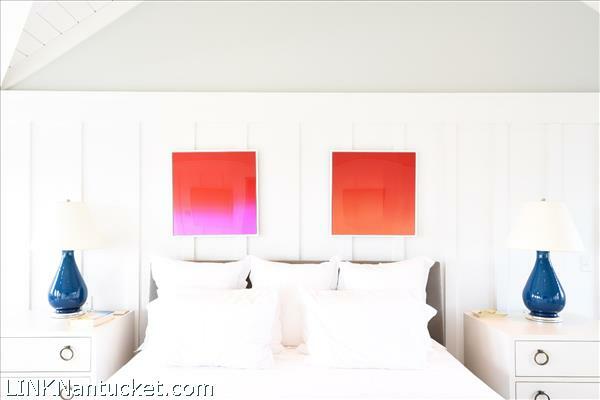 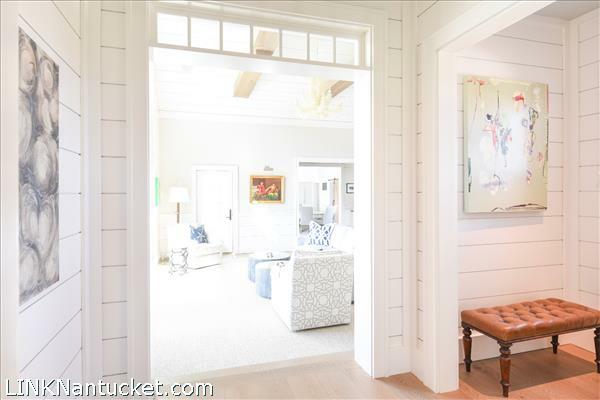 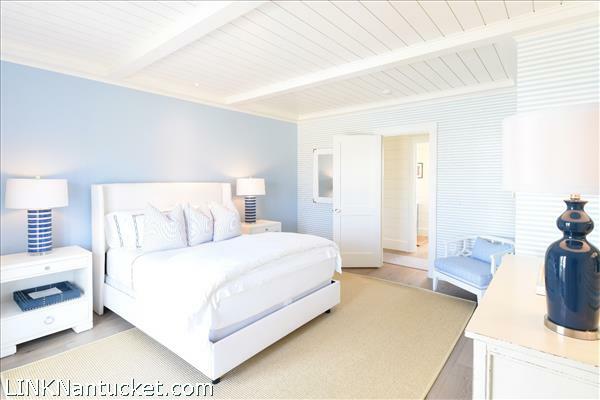 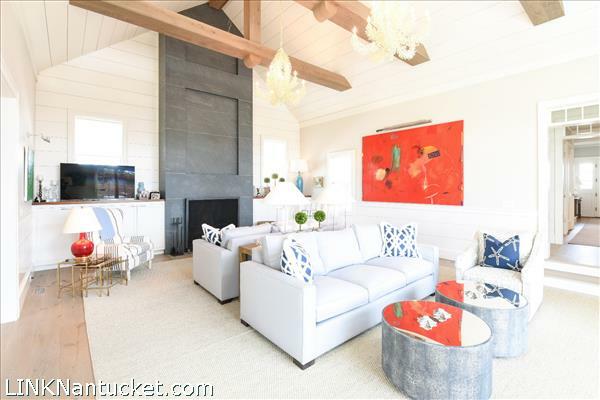 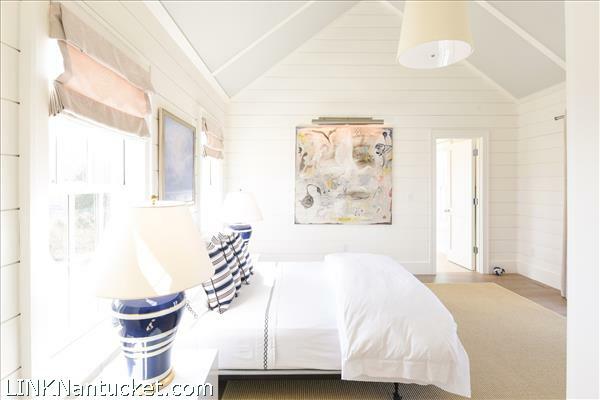 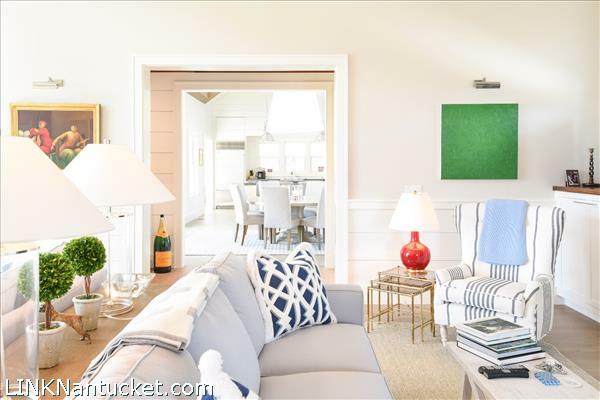 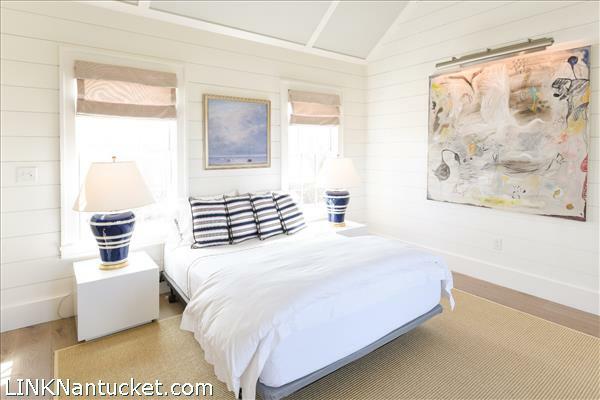 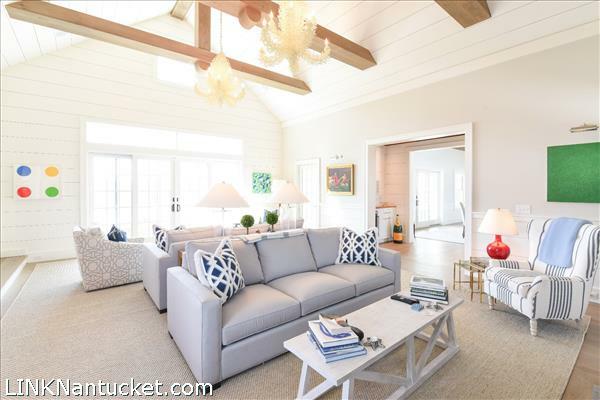 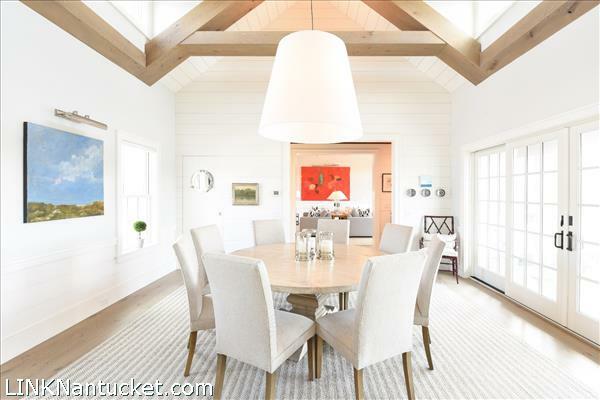 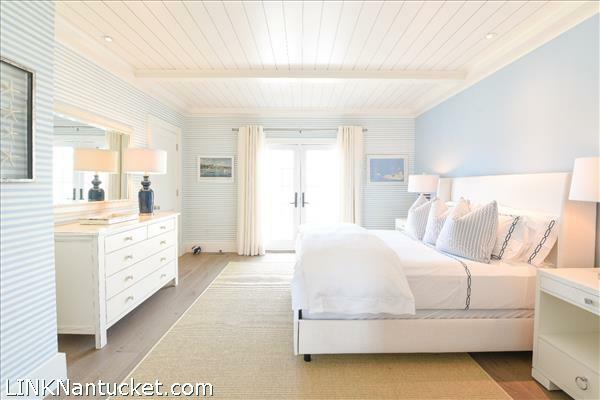 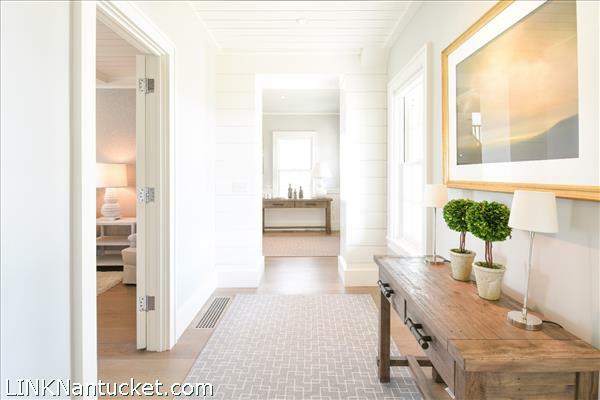 This sophisticated Surfside beach home offers incredible attention to detail throughout the property. 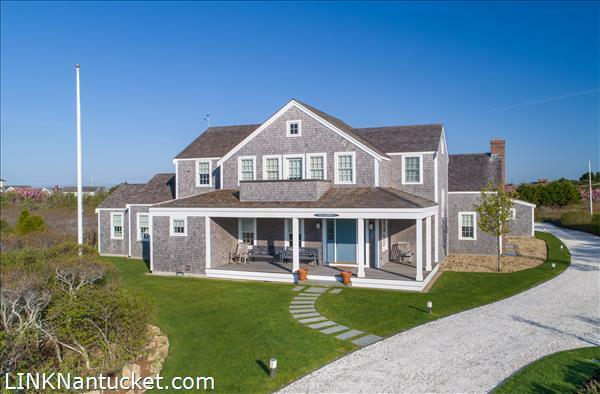 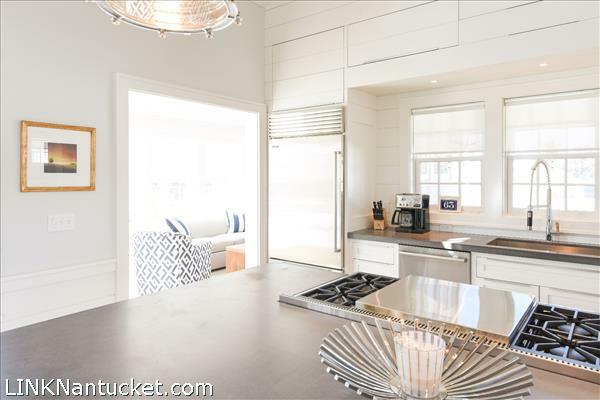 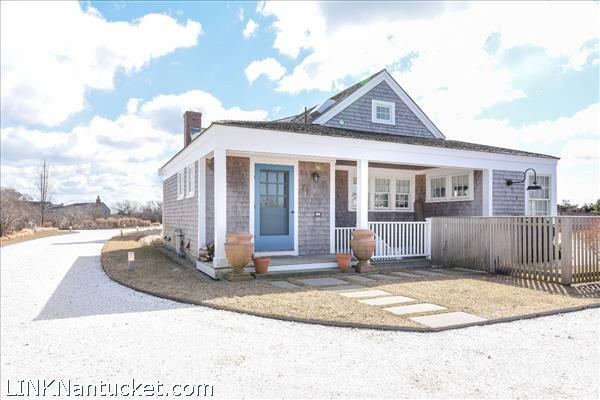 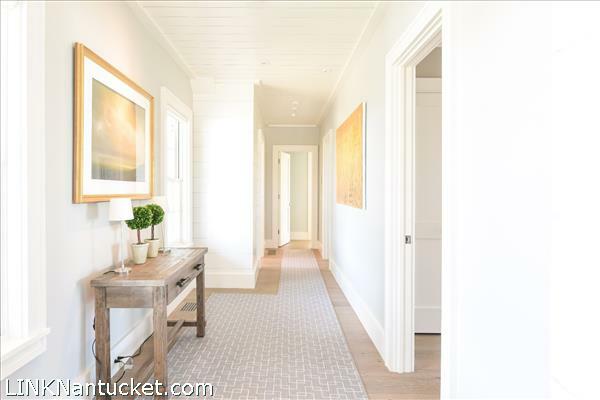 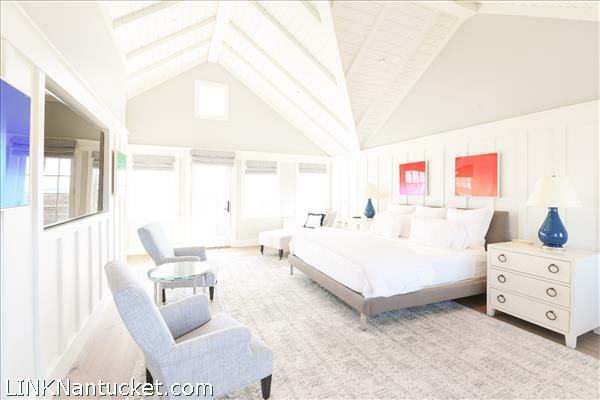 Ocean views and close proximity to one of the south shore's premier beaches elevate the premises to the next level of island living. 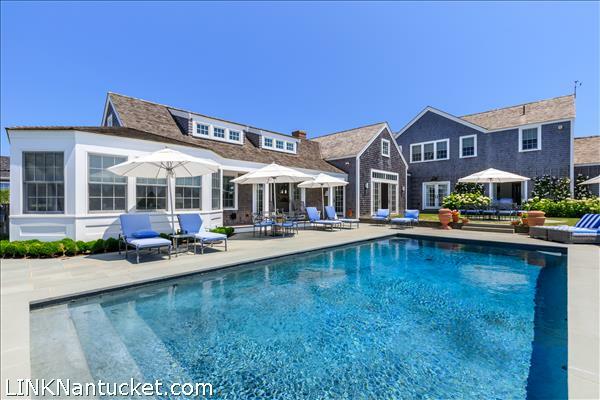 The secluded pool area is accentuated by an outdoor brick freestanding fireplace with a large seating and lounging area around it, a perfect spot for dining al fresco and enjoying Nantucket's famous sunsets. 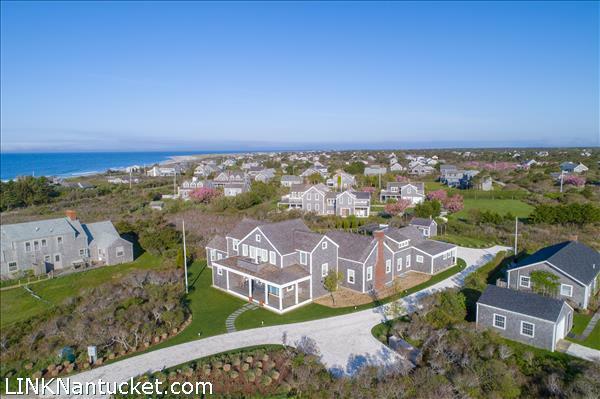 The extensive native landscaping is mature and well thought out. 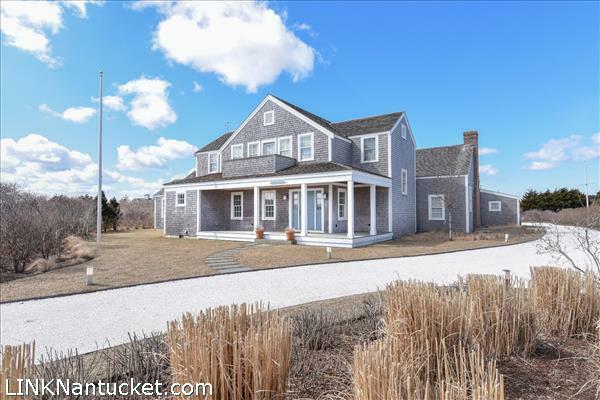 There is a five bedroom septic with potential to complete the lower level to include a fifth bedroom or build a cottage. 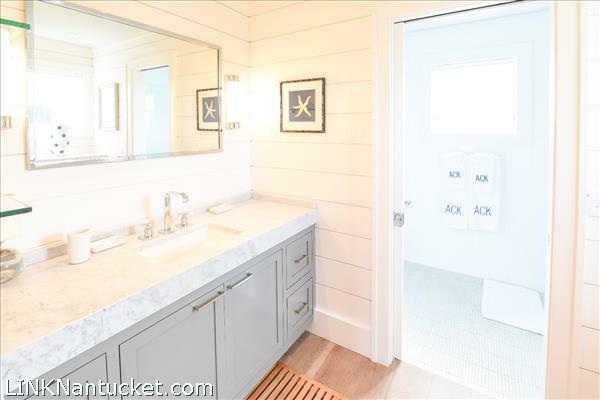 The lower level is unfinished but could easily be completed with the following amenities: the 5th bedroom, two full baths, an office and large second laundry area. 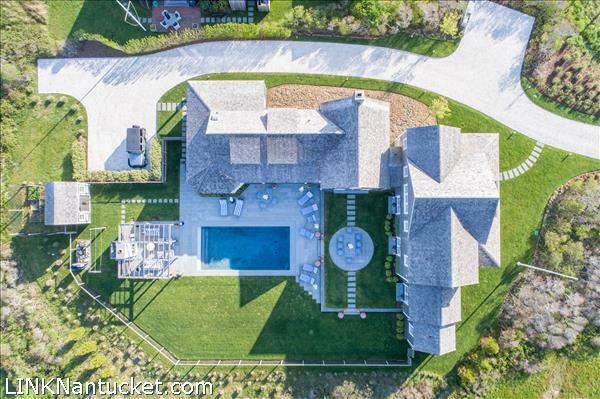 Easy access to the outside rear of the house and backyard pool area. 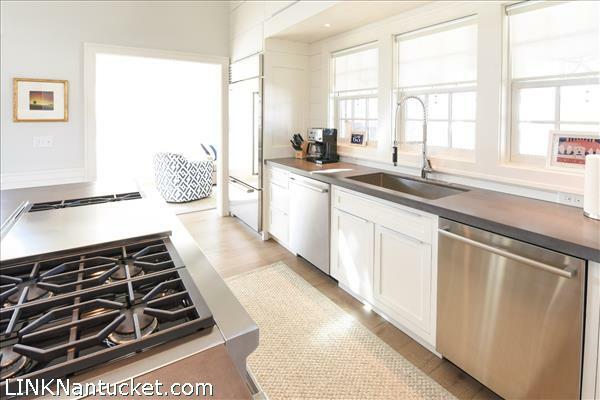 The seller will complete or offer an allowance. 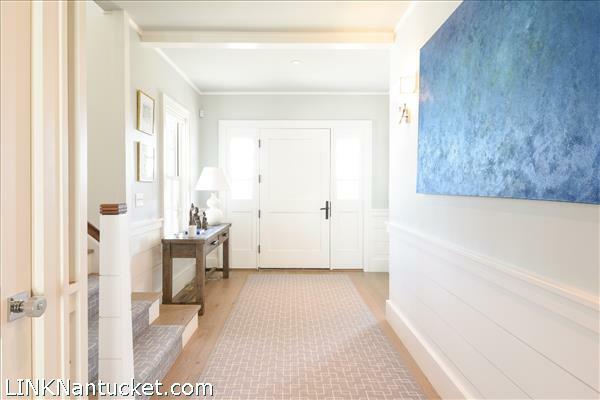 Front porch enters into a large entry hallway. 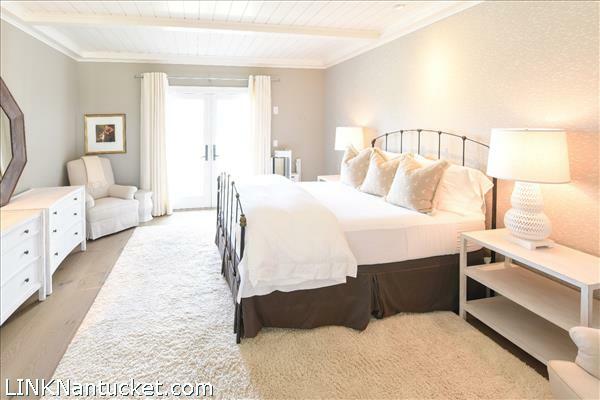 To the left are three bedrooms. 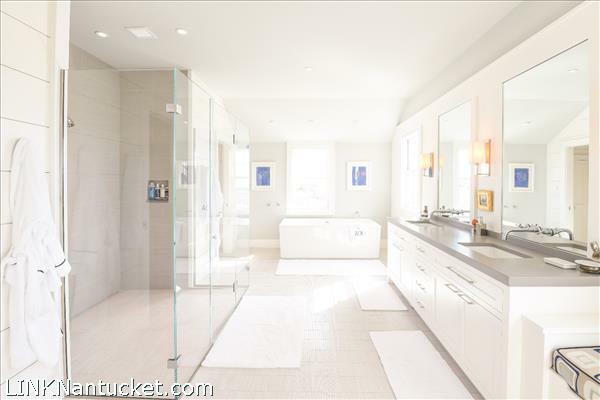 One offers a large en suite bathroom with French doors that open directly onto the backyard and pool area. 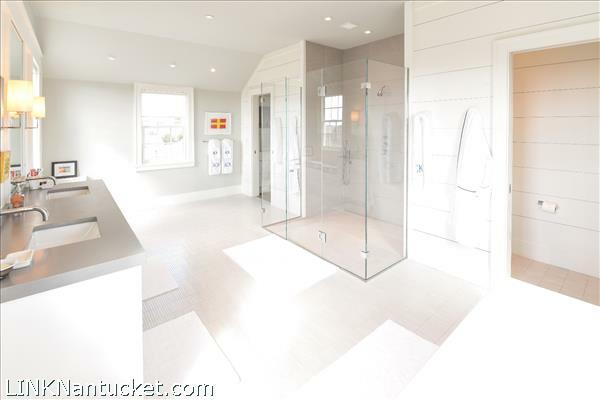 The other two bedrooms share a large hall bath (shower). 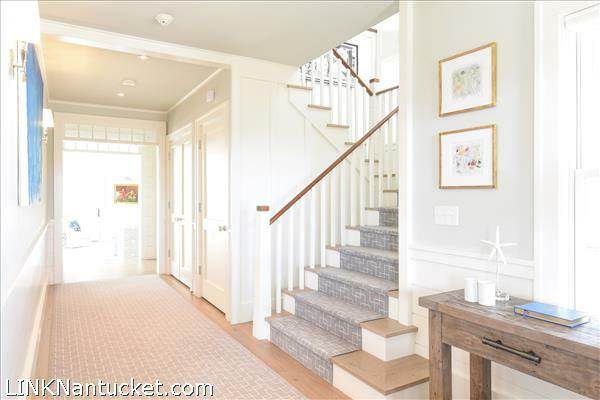 Down the entry hallway is a powder room on the right just before entering the living room with dramatic vaulted ceilings. 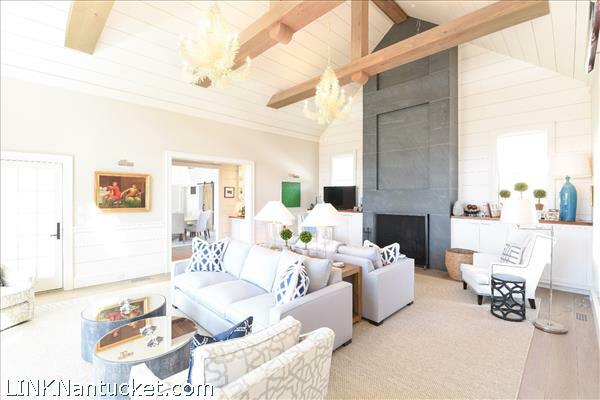 The living room is anchored by a Pietra Cardosa Stone mantel and the fireplace is flanked by custom built-ins. 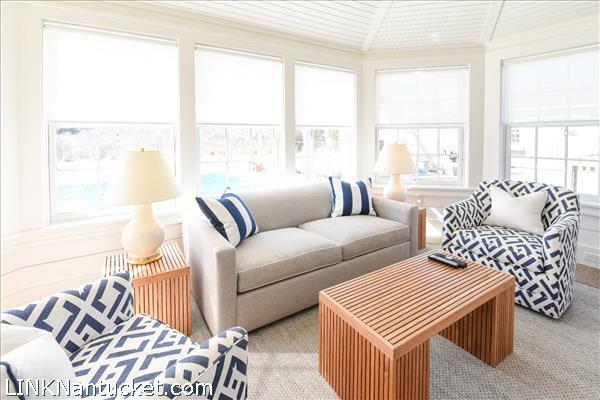 The living room also opens onto the pool, deck, and patio with dining area inviting the outside in. 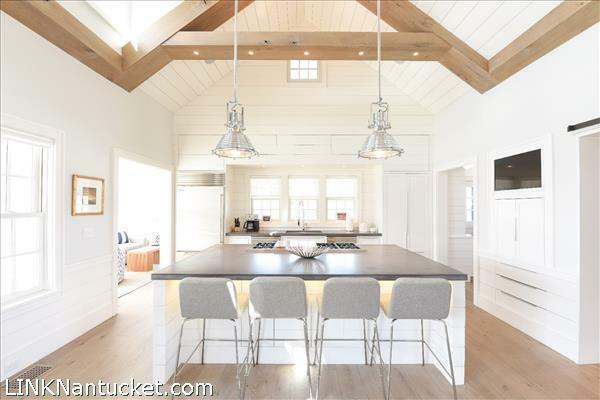 A wet bar area, with a Sub-Zero wine refrigerator and ice maker, adjoins the living room and opens into the kitchen and dining area which also offer high vaulted ceilings, allowing for the generous light to continue throughout the house. 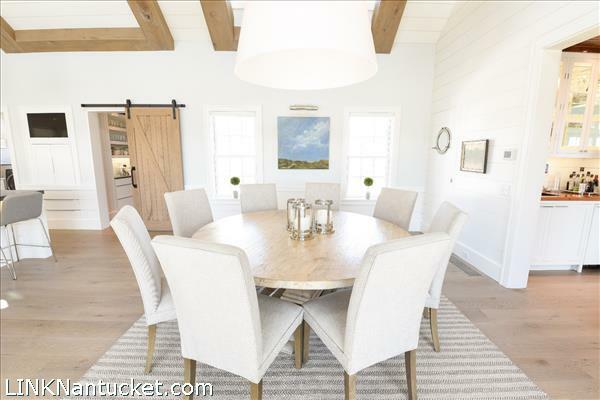 The dining area opens onto the porch and back yard. 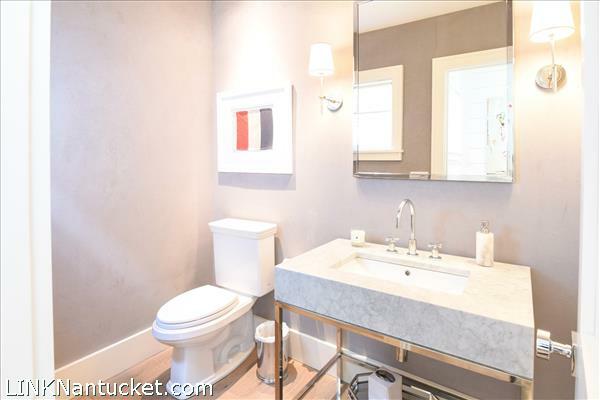 There is a hidden butler's pantry off the dining area. 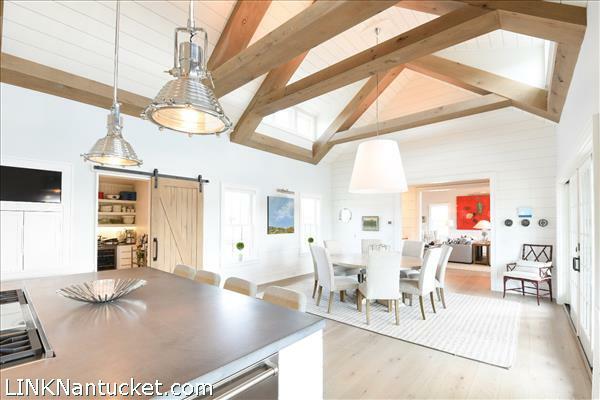 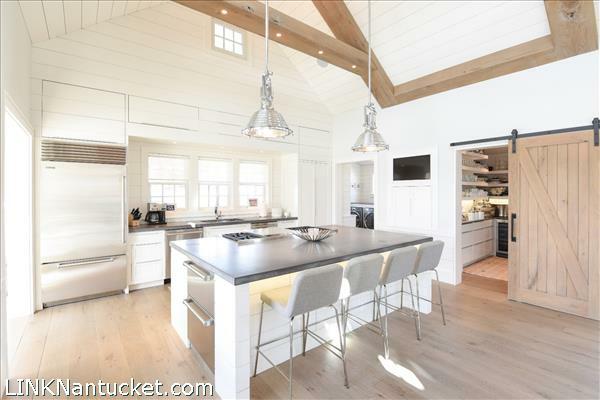 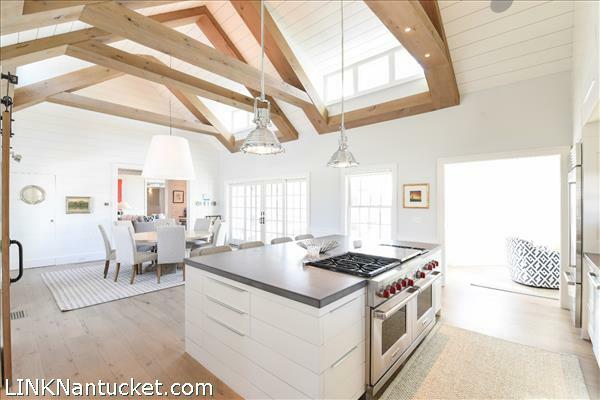 The gourmet kitchen offers a spacious island with ample seating overlooking the dining area. 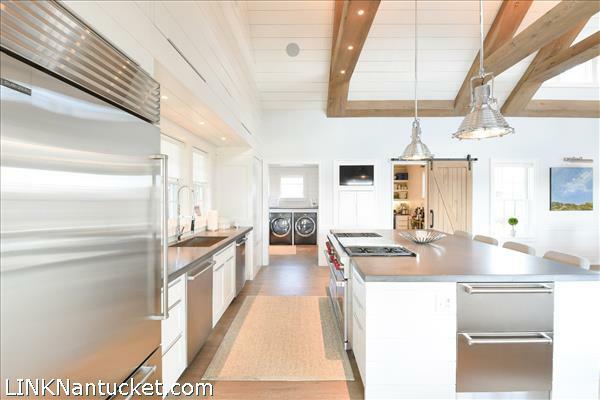 The island houses a six burner Wolf Stove with double ovens and there are two Bosch dishwashers. 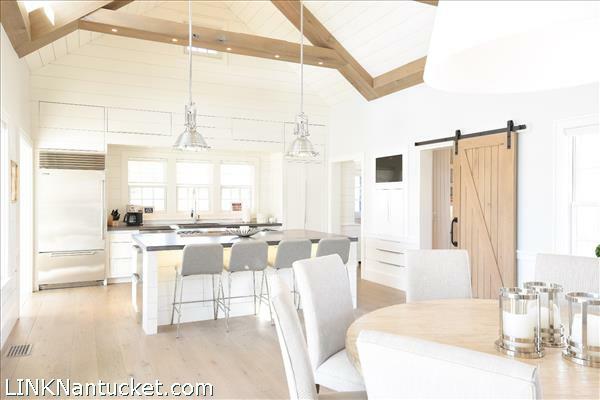 There is an oversized butler's pantry with a sliding barn door, two Liebhrerr wine refrigerators and plenty of storage for all a gourmet chef's needs. 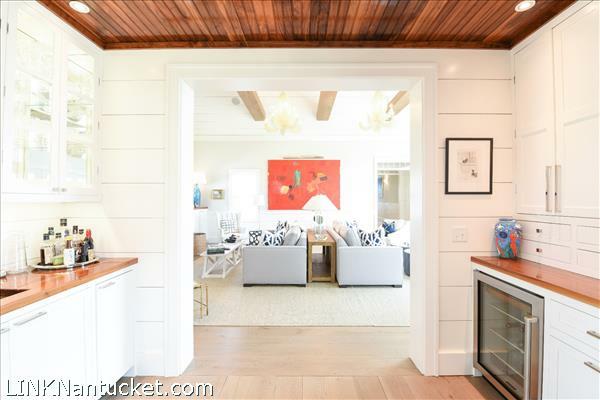 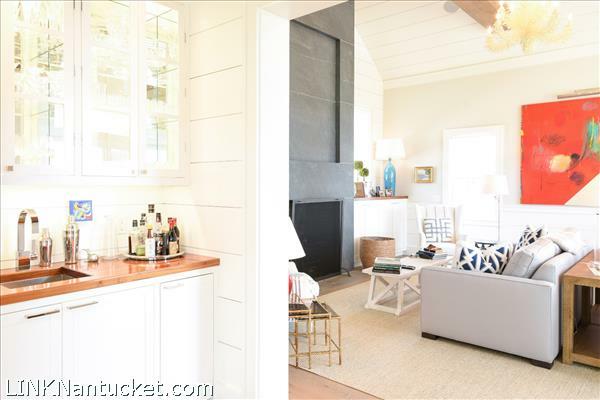 Off the kitchen is a sun room with shiplap walls and interior shingles with a cozy built-in day bed. 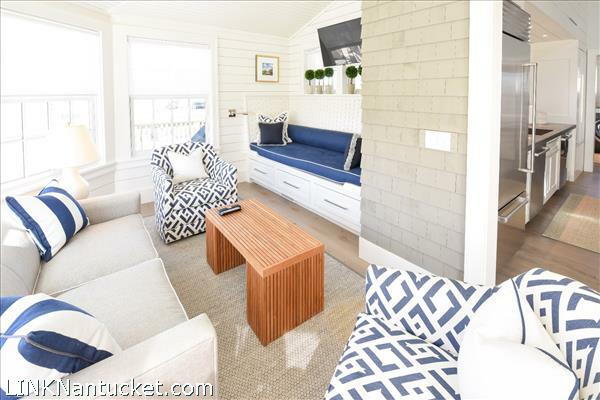 There is a well-equipped mudroom with a second full sized Sub-Zero refrigerator, double washer and dryer with custom built-ins and easy access to pool and outdoor shower. 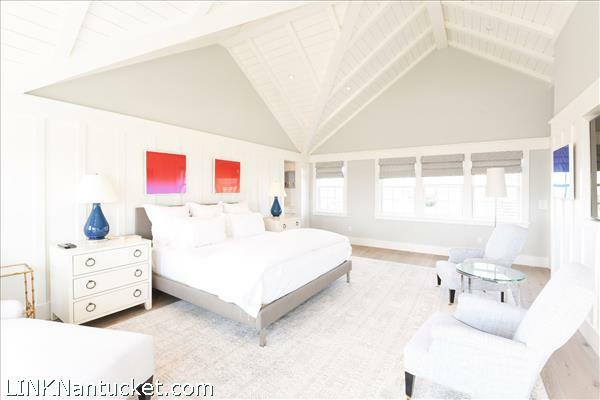 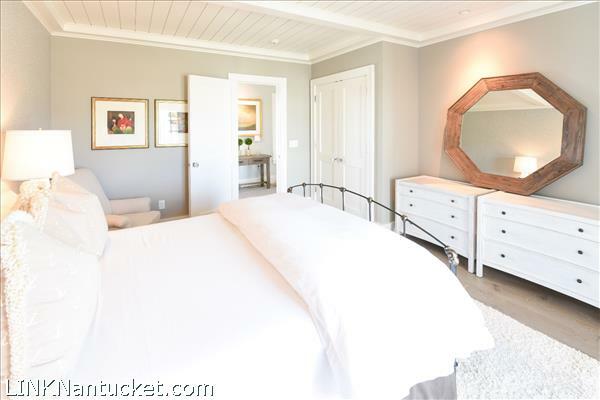 The large, inviting master suite encompasses the entire second floor. 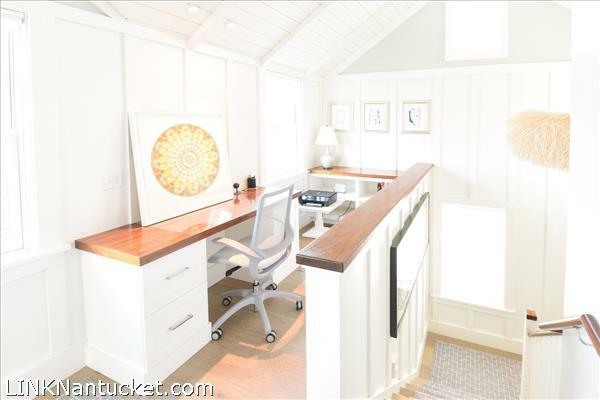 The private office area offers a peaceful space with custom wood work throughout and opens into the generously sized master bedroom. 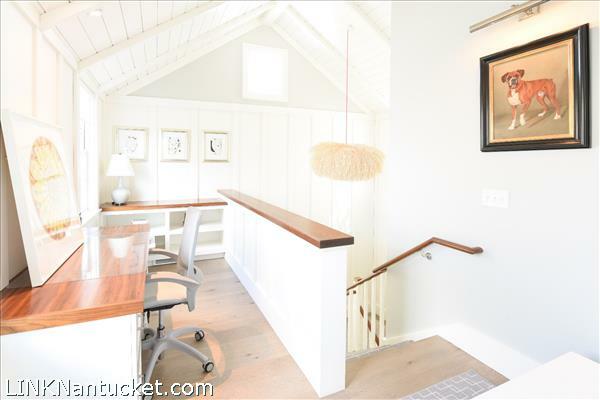 There are vaulted ceilings and a balcony with beautiful ocean views. 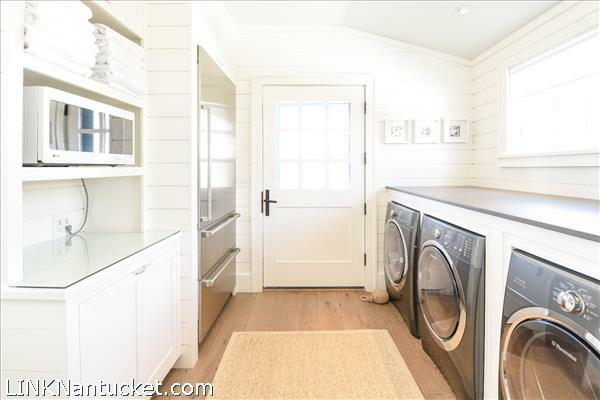 The large walk-in closet has built-ins and offers ample storage. 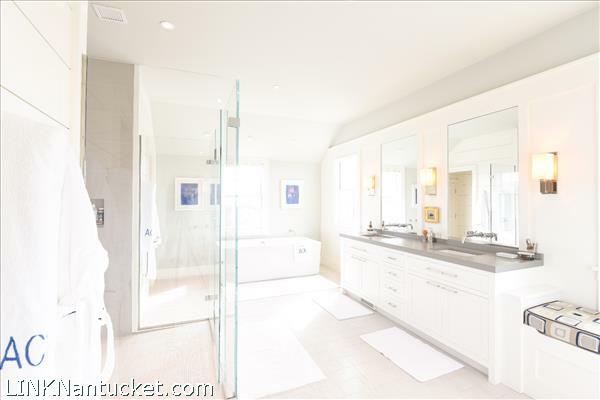 In the enclave between the bedroom and large master bathroom is a Sub-Zero wine refrigerator and cupboard shelving. 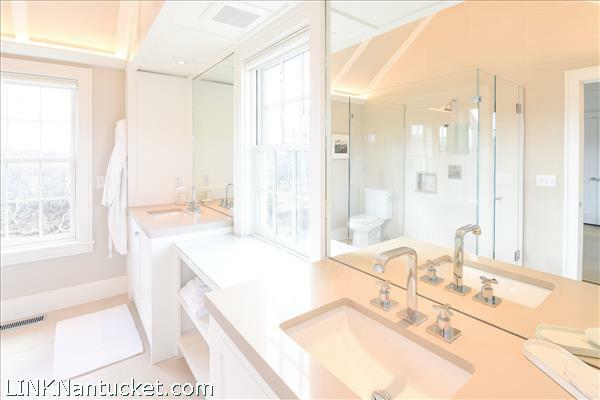 The oversized glass enclosed shower, wall mounted faucets above the double sinks and large soaking tub with a view to the ocean combine to create a luxury spa like ambience.